I enjoyed Twenty Times Twenty. The author has an easy to read,chatty writing style; it’s a great story with a steady pace. Even though this is a story that is mainly character based, the plot has a few twists and turns that kept me interested. And I liked the way the characters’ lives are portrayed; there is poignancy and humour combined and this gives a great sense of realism to them all. Told from the viewpoints of the protagonist, Anna, struggling with all the demands of her life and from her son, James, struggling with an all consuming first love, it’s fascinating to read their disparate perspectives on similar situations. So true to life. Both the internal and external dialogue has the lilting voice of the Welsh people threaded throughout that emphasises the setting of South Wales. And the descriptions of the world they inhabit are full of imagery and evokes a wonderful sense of place. I have a copy of Bethan Darwin’s other book, Back Home: and am looking forward to reading this one. 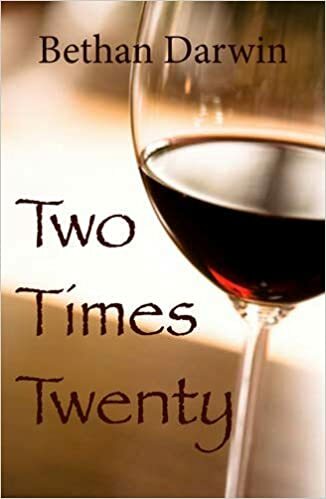 This entry was posted in authors, blogging, Book Reviews, Books, contemporary womens'fiction and tagged Bethan Darwin, books, Relationships, Two times twenty by Judith Barrow. Bookmark the permalink.